You might love the internet, but you probably don't trust the internet. With all manner of scams from impostors faking cute pictures on dating sites, to robots faking comments on popular blogs, the skullduggery is ceaseless. Now, Amazon aims to use artificial intelligence to take down one of the worst offenders against our online honor...fake product reviews. The truth will set you free. Everything else will set you up for something crazy. According to the Guardian, Amazon has initiated a built-in AI system that discerns whether a computer or a consumer is actually reviewing a product listed on their website. The site's ratings system, formerly an average of the number of "stars" a reviewer would deem a product or piece of literature worthy of, is now analyzed by an algorithm that assesses which reviews are actually accurate. These go to the top of the reviews page, allowing casual browsers to learn their desired item's true nature, instead of something a cyber-scam might spam. The scourge of "astroturfing" - a.k.a. deluging a product's description with fake reviews so that product will look significantly better or worse in the eyes of online shoppers - is a practice carried out by ruthless companies and various rivals. Not limited to product reviews, the derogatory posts can mar reviews posted on travel websites, restaurant listings, and other sites that depend on interested customers learning more about a particular good or service. 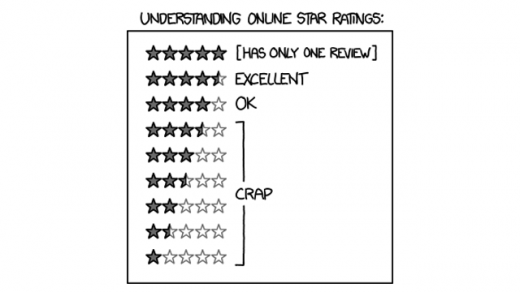 A pretty good explanation of many current online rating results. Amazon's program went into effect on Friday, but it may take some time before every element is properly assessed. If successful, its popularity could spread to many online retailers seeking only to post the truth about their proffered product. In the meantime, curious consumers will soon see if the libelous literati (or the robots that act as much) can survive the Amazon algorithm. 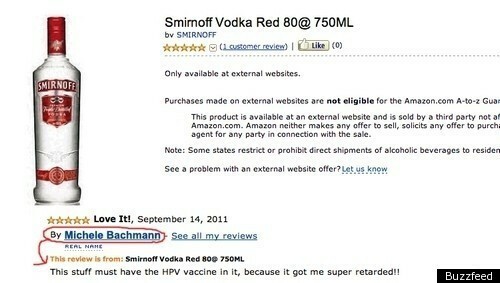 Hopefully the hilarious reviews will still have a place in the computationally-culled critiques that remain.